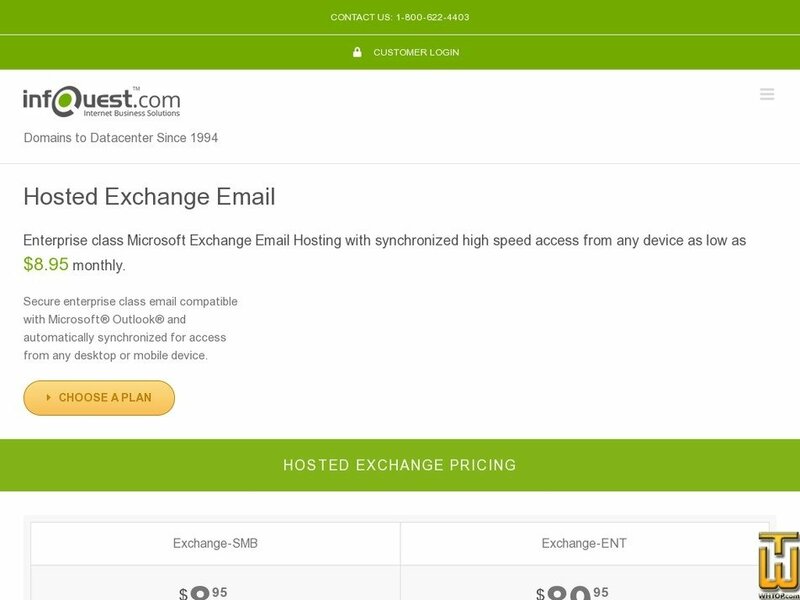 Hosted Exchange Email with Barracuda [...], $ 8.95/mo. See also original Hosted Exchange Email with Barracuda anti-spam plan location on their website! Hosted Exchange starting at $8.95/month per mailbox. Discounts for longer subscription periods. Original price $9.99, limited time reduced price!